If you’re looking for a sign shop in Los Angeles, it’s important to consider whether the shop has experience with a variety of different businesses and industries. It’s even better if they have specifically created signs that you like that are relevant to your industry, specifically. Vintage, bold, eye-catching, the use of black and white in the Garry Marshall Theatre sign creates a striking presence. In fact, it’s one of the most eye-catching signs in all of Burbank. Notice how the name of the theatre catches your eye moving it down to the bright white marquee that invites passersby in for a show. A sign of this caliber takes decades of experience and an extremely high level of craftsmanship to create. The Dynamic Spectrum directory sign, designed by Dave’s Signs, displays a great deal of information. You can see that there is a fashion boutique, an advertising company, several business groups, and a retail outlet located in this complex. Regardless of where you are looking for a sign shop – Los Angeles, New York, Chicago, Boston, and any large or even smaller city – it’s very important to see examples of other directory signs they’ve created to make sure that they appeal to your aesthetic. If you’re looking for a sign shop in Los Angeles, you’ll want to know that the professionals you choose will create a sign that will attract customers for decades to come. As you can see, our years of experience in sign creation for different industries makes us uniquely suited to craft attractive, attention-grabbing signs in the highly competitive Los Angeles business district. 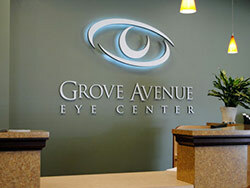 Give us a call to learn how we can boost your business and its reputation with the perfect sign.